Martin Docherty-Hughes, MP for West Dunbartonshire, has said a decision by the Heritage Lottery Fund not to approve funding for the Maid of the Loch restoration project is “devastating”. 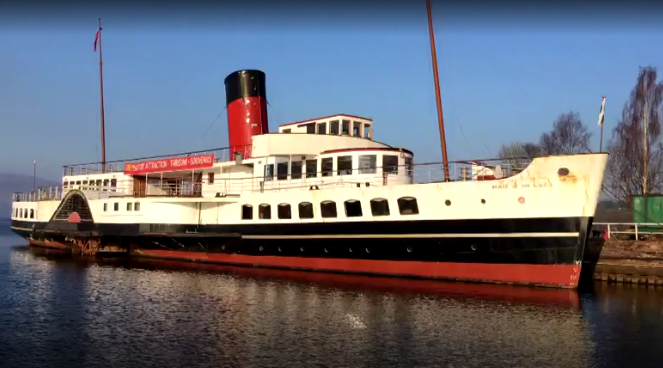 The Maid of the Loch, which has been moored at Balloch for more than 20 years, has been undergoing refurbishment as part of multi-million pound plans to restore the iconic paddle steamer to its former glory. However, in a blow to the project, it has been announced that the Heritage Lottery Fund has not approved the grant funding necessary to get the Maid sailing again. In a statement issued by John Beveridge, Chairman of Loch Lomond Steamship Company which owns the paddle steamer, the announcement was described as a “sad day for West Dunbartonshire’s cultural heritage”. “The Maid of the Loch is an important part of West Dunbartonshire’s cultural heritage, enjoyed by many people from across Scotland and all over the world. “It’s devastating news that the Heritage Lottery Fund has not approved the funding needed to get this iconic paddle steamer sailing again. Full statement issued by the Loch Lomond Steamship Company available here.